Left and right fronts are done! Yay! I cannot wait to wear this. So great is my impatience that any actual work on a submission I’m preparing has been very grudgingly done. Yes, yes. 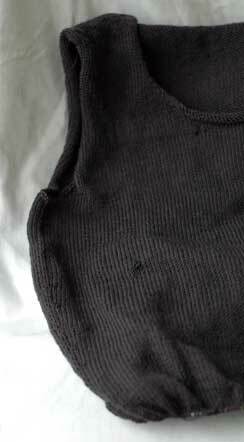 Top down, set in sleeve. Let’s look at some more Manos, shall we? I love how the cables sort of squidge up together… and the way they draw the eye up and down… and the way they sort of pop out sometimes depending on how you hold it when you’re knitting on it… and the way they call my name when I should be doing actual work that will earn me more manos money. 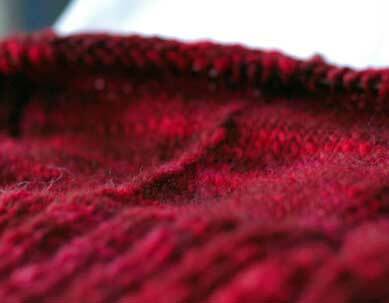 Aileen… Aileeeeeen… come knit on me… You hear that too? See ya later! It is always nice to get your beans back after being unwell. It really helps that the weather has turned slightly milder and the days are getting longer and a bit sunnier. 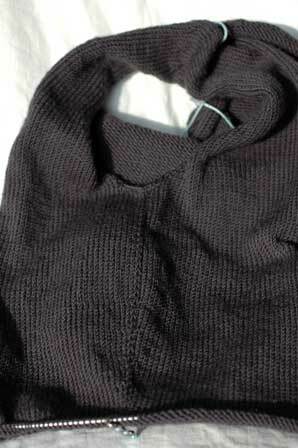 I think you will understand, though, my precaution in knitting myself a very warm, woolly sweater… if last summer was anything to go by. I rather like how it pops out, don’t you? 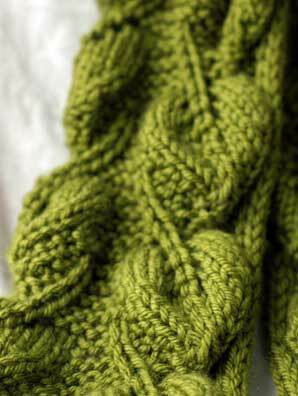 I thought it would be very complicated to knit the body all in one piece, but once I got the cables placed correctly, it was easy going. The cables all repeat on the same row. Really, you couldn’t ask for simpler. I can’t wait to finish this! I finished this last Thursday night and haven’t gotten around to posting about it until now. It has been out with me since a few times and I must confess that I’m not at all tempted to block out those springy leaves. It is warm, snug and most important of all, very green. 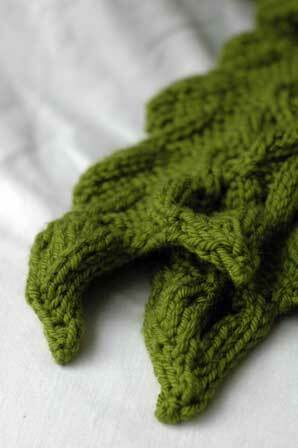 Pattern: Backyard Leaves by Annie Modesitt, from Scarf Style. Yarn: 6 balls of Cashmerino Chunky, Debbie Bliss (I could easily have gotten away with 4 but now I have a scarf that wraps around twice). There was one heck of a pox on me this week. I don’t do things in halves, you know (unless it’s socks… boomboom). You know when you’re sick and you’re tired, and you start worrying about things so much that you can’t sleep? And then you’re even more tired, and get even sicker, and worry even more? That was me for about three days. I don’t worry in halves, either. What if I can’t find a way to give up teaching the piano? What if I never have enough money to get a place of my own and end up living in a tent on the side of a dual-carriageway somewhere outside Mullingar with just some baked beans and my wool? (note to self: need bigger tent for wool) My apologies and thanks to Lisa and Alb for bearing the brunt of my insane moroseness due to my tragic lack of psychic skills yesterday. 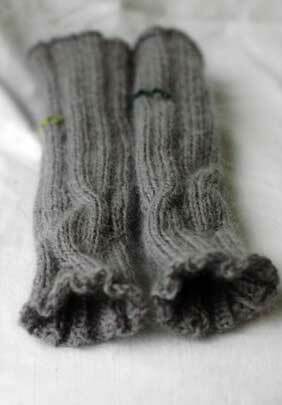 But every grey skein has its silver needle… and the Manos Wool Classica I picked up yesterday is certainly that. This is destined for a Central Park Hoodie. Maybe it’s just because I’ve been working almost monogamously on a 4-ply project, but indulge me in my delight with the thickness and squishiness of this stuff! 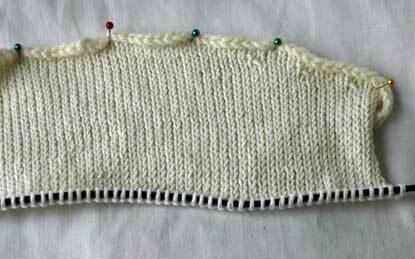 Speaking of the 4-ply… here’s a look at my grey cardigan. I have already made it to the hip increases. I tried it on yesterday and I am relieved to report that it fits. I think it will be quite nice. And while we are on the subject of grey things nearing completion, I got a second Dashing knocked out last night. 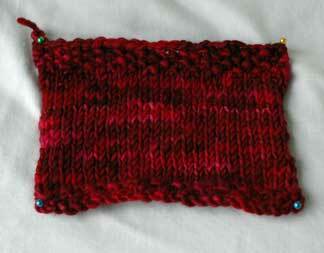 All that remains is to sew in the ends and knit on the thumbs. After all, without the thumbs, they are just a pair of very fancy banana cozies (this is not such a crazy notion: you eat a banana straight out of the fridge and tell me it’s not worth considering). Today, my nose holds the world record for fastest continuous sprint. I detest having a headcold. What I detest the most about it is that it leaves you in that no-man’s land of being too well to be in bed, and too unwell to do anything productive. This is why I am glad I do not have a headcold. I just have a cough, headache, temperature and a runny nose. 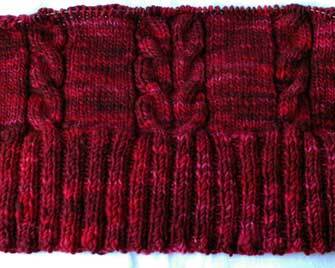 I made up for lost time yesterday – I ran out of wool for this while in Galway at the weekend – and have reached the waist proper already. 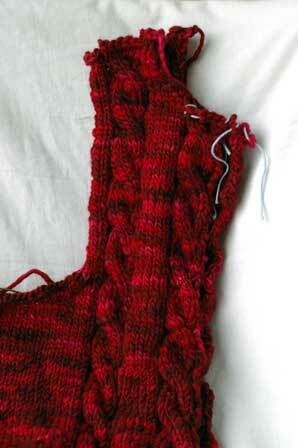 It is at times like these, when knitting entirely in 4ply, that I am glad to be so short! I sort of assumed I’d put in a large ribbed hem from the waist down but upon further contemplation I don’t think I will. 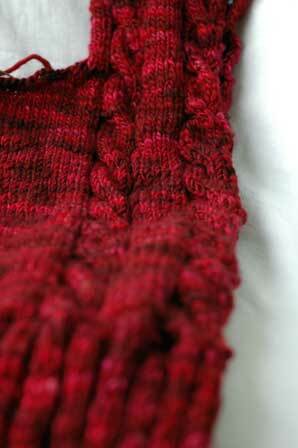 I’m going to knit it straight down, put in a purl ridge and knit a hem to fold up underneath. I think I will put a purled diamond texture around the bottom instead… just a little extra to give it some interest. Evening classes again tonight and I cannot wait to see how everybody’s been doing! I’m going to bring my camera along and take some progress photos. Exciting stuff!